SALE! 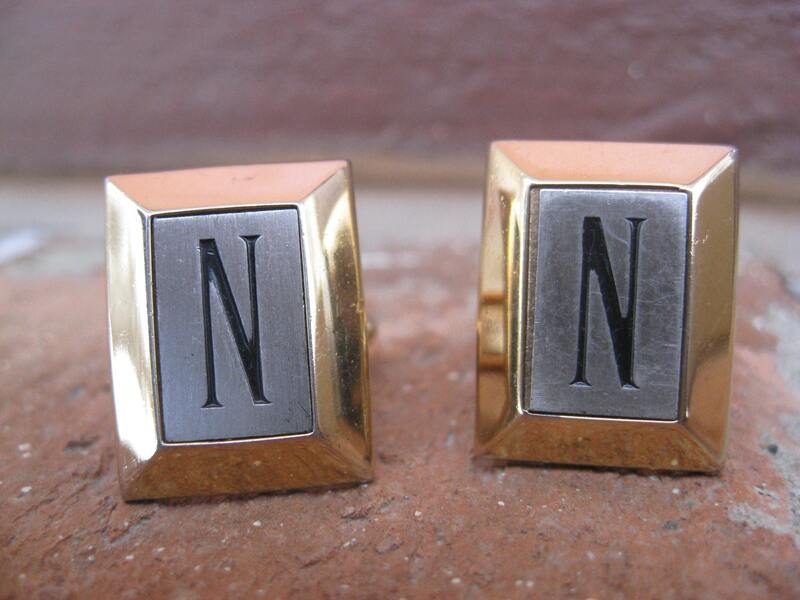 Vintage Monogram N Cufflinks. With Tie Clip. Gold & Silver. Wedding, Men's Christmas Gift, Dad. SALE! 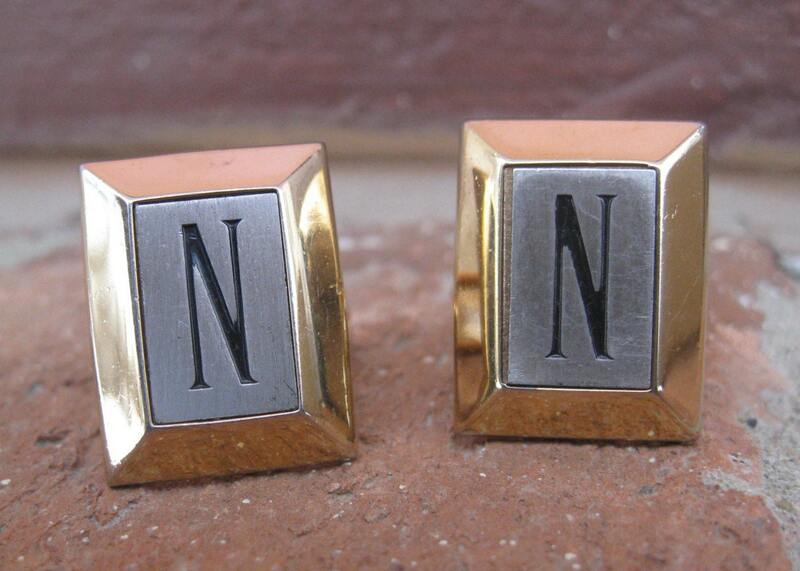 Vintage Monogram "N" Cufflinks. With Tie Clip. Gold & Silver. Wedding, Men's Christmas Gift, Dad. 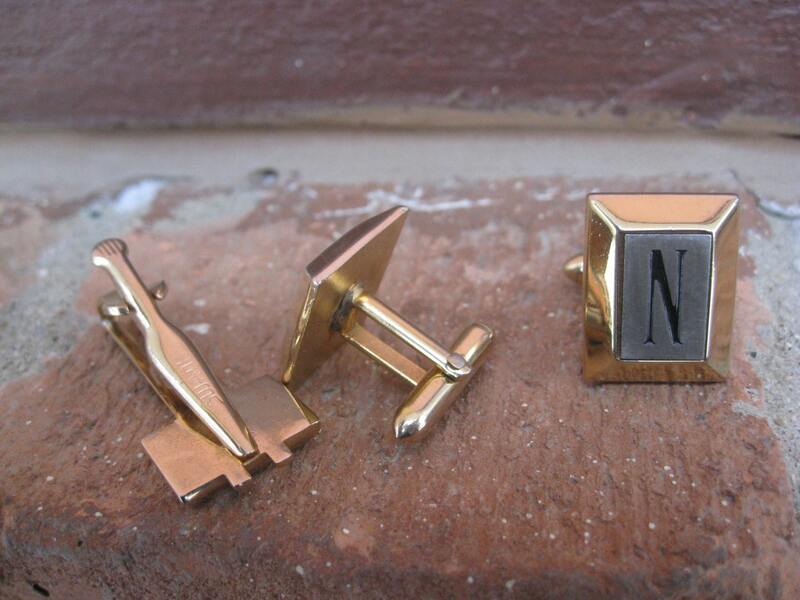 These vintage cufflinks and tie clip are perfect for anyone with an N name! 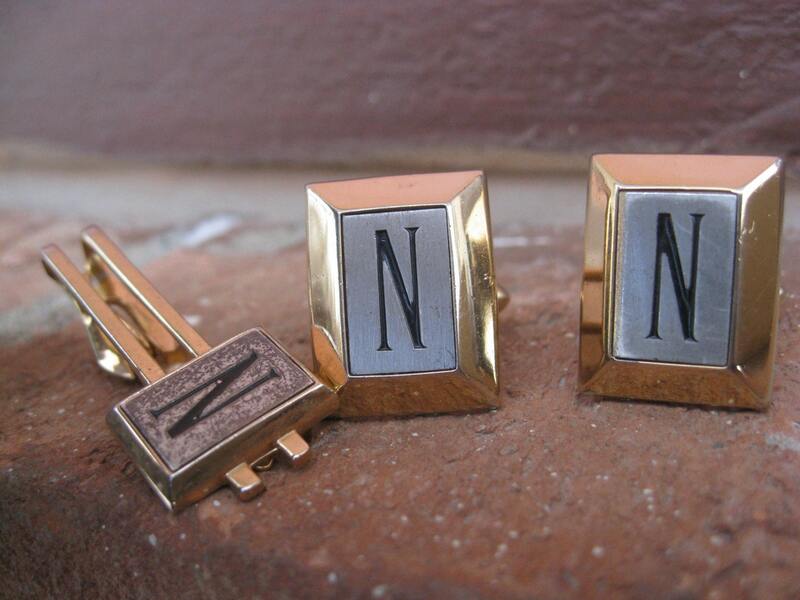 Each one features a gold-plated rectangle with a silver rectangle inside of it, with an engraved N in the middle. These are really nice and measure 3/4" x 5/8". These were made in the 1970's by Swank. These are in good vintage condition. The tie clip could use a good cleaning.